New vehicles are great for a lot of reasons, but they are not right for every driver. If you are considering purchasing a used car, consider buying a Honda Certified Pre-Owned car, truck, van, or SUV at Babylon Honda. When you buy used, you are potentially looking at cars that could be decades old, meaning more repairs sooner. With Honda CPO, you’ll narrow your search to vehicles less than six years old. On top of that, all Honda CPO vehicles have less than 80,000 miles on the odometer. To qualify for our CPO program, a vehicle must pass a 182-point inspection by our trained service experts. By choosing a Honda CPO vehicle, you can ensure your car is in top running condition. You can’t get that kind of guarantee through a private seller. When you buy Honda CPO, you’ll get the guarantee of two solid warranties. The first is a 12-month/12,000-mile limited warranty for non-powertrain coverage. This covers the steering, suspension, electrical, air conditioning, heating and cooling, fuel system, switches, audio repairs for Honda audio systems, and sensors. The second is the powertrain warranty, which lasts for 7 years or 100,000 miles. This warranty covers the engine, the drive system, and the transmission. Get three months of free SiriusXM Satellite Radio before deciding if you want to subscribe. When you purchase a CPO Honda, you can also opt for Honda Care® Certified Additional Coverage, which offers 24-hour roadside assistance (with towing, lock-out assistance, battery jump-start, tire change, and fuel delivery), extensive component coverage, and concierge emergency services. Have questions about the Honda Certified Pre-Owned program or details like GAP insurance? 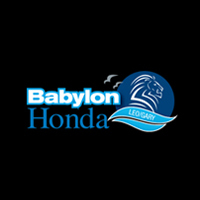 Talk to our experts at Babylon Honda.